Of all potential sidelines to interest Elizabeth and the Catapult godhead Elizabeth Ziman – teaparty DJ, kaleidoscope curator, wrangler of catapult involving actual cats – wouldn’t documentary composer seem least likely? While the classically-trained pianist surely has the chops to assist acclaimed docu-scorer Paul Brill on more than a dozen films, Ziman’s signature project has thus far steered far away from the dullish meanderings of humdrum reality. 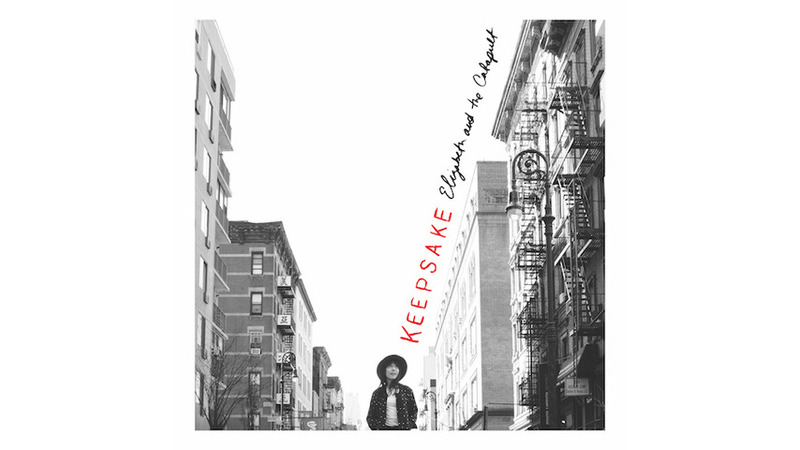 Keepsake, the fourth album recorded under the imprimatur of her erstwhile day job, maintains a fanciful approach through even the most sorrowful themes. It’s an arresting next step from the talented songwriter, but, despite lyrical reflections their author believes to be her most personal, the keening theatricality still renders its subject alluringly remote. If the sometimes overheated flourishes of orchestration threaten to distract, the artist’s hyper-distinct presence sustains focus throughout Keepsake, though calling Ziman the album’s anchor does disservice to the chimerical tour-de-force on display. On album centerpiece “Mea Culpa”, her otherwise relatively-restrained piano work takes the spotlight. A dizzying fury of merry-go-round-Baroque-down finger licks suddenly downshifts to Elton John-style chord-chomping music hall rock before hurtling forward to tickle the ivories with blitzkrieg velocity while her vocals, thrillingly, keep pace. A jazz-inflected caramel croon soars and flutters without warning – think Florence and the Soft Machine – and confessional asides nearly trip over themselves midst the wild ride toward epiphany. In the end, it’s the absence of any fulfilling destination that holds the album back. The darker slow jams that comprise its second half might feel more poignant when set against the opening’s alt.Broadway spectacles, but the distancing gloss remains. For this collection, she reportedly scavenged old diaries and dream journals for disjointed snippets and half-remembered imagery that then formed the bones of Keepsake. There’s bravery in the notion and an enlivened intimacy to her songcraft, but lucid dreaming should never be confused with following one’s muse. Thankfully, fans worried Elizabeth may spend another few years throwing her catapult among varied tastemaker projects midst dilettante fantasy camp should take heart in news that recent concerts have included an apparent show-stopper tune written about the night of Trump’s election, which invites the tantalising possibility of the artist one day sublimating that rich breadth of self-regard toward tangible expression. After all, if Ziman can transmute glimpsed dreamscapes into chamber pop this sublime, shouldn’t she turn her talents toward subjects more woke?